Strong earnings supported by strong revenue. 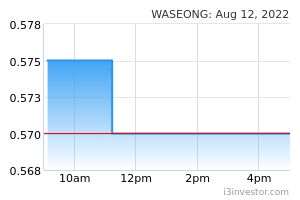 Wah Seong’s 3QFY18 reported earnings declined by -20.5%yoy to RM24.5m. The weaker earnings year-over-year is mainly due to lower activities in Malaysian operations, where 73% are from the O&G segment. However, 9MFY18 earnings excluding minority interests of RM74.8m came in within our and consensus expectations, accounting for 72% of full year earnings estimates respectively. Oil & Gas. Segment revenue contracted by -8.2%yoy whilst earnings grew marginally by +2.3%yoy respectively largely attributable to lower activities in the Malaysian operations. Renewable energy. Segment revenue and earnings both recorded an increase by +23.7% and +258.9%yoy respectively mainly due to higher revenue and higher profit margins registered by the boiler and steam turbine businesses. Industrial Trading & Services. Segment revenue declined by - 21.4%yoy whilst earnings grew by >100%yoy respectively mainly due to lower sales of building materials. The segment profit was however contributed by higher revenue and better profit margins from the HDPE pipe manufacturing businesses. Current orderbook at RM1.59b. The company’s current orderbook is at RM1.59b (vs RM1.93b in 2QFY18) due to significant amount of work being executed during the quarter. Of the RM1.59b, 78% or RM1.24b consists of O&G projects. Current tenderbook at RM5.9b. 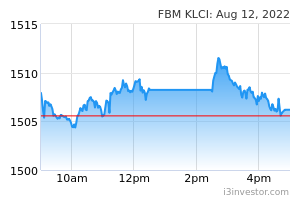 The company’s current tenderbook is at RM5.9b, unchanged from last quarter. Management guided that a more significant award of new contracts will potentially be in 2HFY19. The company added that it has tendered for projects in Europe, Africa and Australia. Impact on earnings. No changes made to our earnings estimates.